As the name implies, at CENTURY 21 Team Brockhurst we are locals. We love our community and have a deep understanding of our local property market. 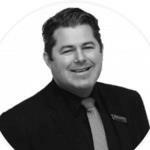 With a combined real estate experience of over 80 year’s, we at CENTURY 21 Team Brockhurst, owned and operated by Josh Brockhurst take the time to understand what it is you need and then partner with you to provide a tailored service that caters to your unique circumstances. Whether you’re looking to buy or sell, upgrade or downsize, invest or occupy we at CENTURY 21 Team Brockhurst have the expertise to ensure the entire experience is hassle free and achieves the best result for you. As part of Australia’s (and the world’s) largest real estate group, CENTURY 21 Team Brockhurst has access to the proven processes, property marketing skills and expertise of a market leader in real estate, while retaining that deep local market knowledge. Our team specialises in properties found in the City of Canning and City of Gosnells catchment areas but has also sold in over 200 suburbs. With selling residential, vacant land, family homes and acreage lifestyle properties. Whether you’re a first time buyer, an experienced investor, looking for the right home to raise a family or downsizing, at CENTURY 21 Team Brockhurst we can help you take that next step. Take a few moments to meet our team of experienced real estate professionals, then give us a call to discuss how we can help you realize your property dreams. I tailor my fees upon each vendor’s circumstances and create a campaign based on their requirements and budgets. I sell on average 13 properties per month some for 30% more than other agents have appraised. Marketing can be from $0 to $1200 depending on the owner’s circumstances and budget. My average sale time is under 30 days and for the 2009/2010, 2010/2011, 2011/2012 and 2012/2013 financial year I was REIWA’s number 1 selling team in the Perth Metro area selling over 170 properties for the year. I was also Century 21 W.A’s number 1 selling agent and Century 21 Australia’s number 1 selling agent for 2012, 2013 and number 2 in 2014. Because I am the principal and licensee, I am flexible on fees. My main aim is to negotiate and market the property in such a way that the owner is more than happy with the price achieved and the fee payable. I understand that an owner will not accept an offer unless they are happy with the amount they end up with in their pocket and strongly advise that you interview agents on their abilities and let them show you what they do, how they do it and why they charge what they charge. Feel free to call at anytime on 0421 088 467. Call me under no obligation at all if you would like to discuss this proposal further. We may have a buyer on our books already and if the sale is quick and doesn’t take long, the fee can be discounted accordingly. Look forward to hearing from you soon. Thank you so much for your time, effort and assistance in helping me to sell my house. Your professionalism, knowledge and understanding of real estate in the area helped in getting the price I wanted.